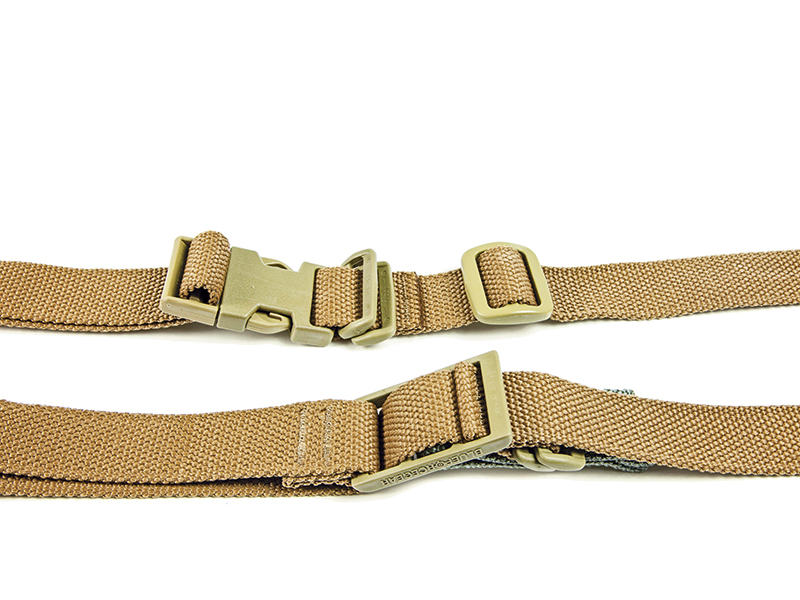 Cutting-edge gear from the National Preppers and Survivalists Expo! Bees make honey specifically to carry them through the cold season. As a result, it is one of the most shelf-stable, high-energy foods known to man. 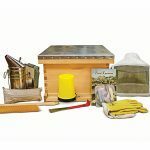 The Brushy Mountain 10-Frame Beginner Beekeeping Kit offers almost everything a potential beekeeper will need to start their new hobby and keep themselves fed during an emergency. 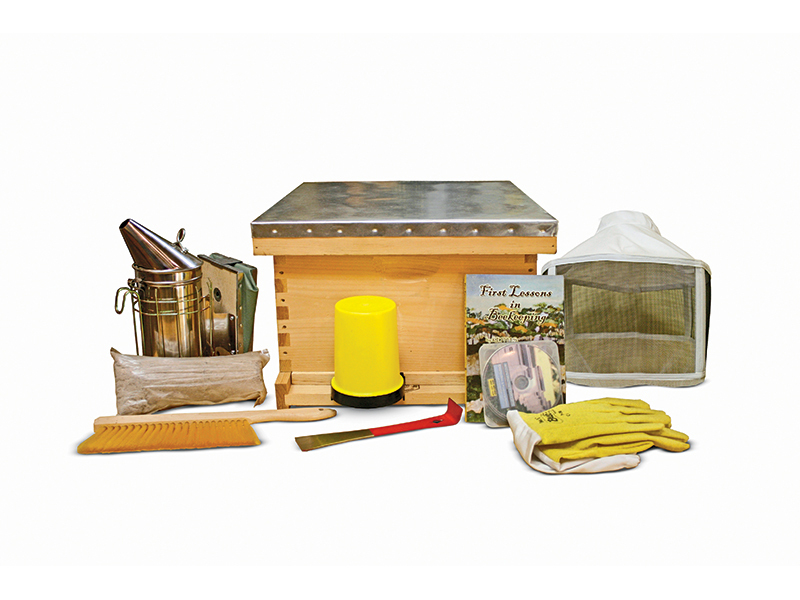 The kit includes a 10-frame hive body, 10 sheets of 8-1/2 crimp wire foundation, 40 supporting pins, an entrance reducer, a hatless veil, a pair of large, plastic-coated gloves, a smoker with smoker fuel, a bee brush, a 10-inch hive tool, a plastic entrance feeder and an instructional book and DVD. The MSRP is $205. 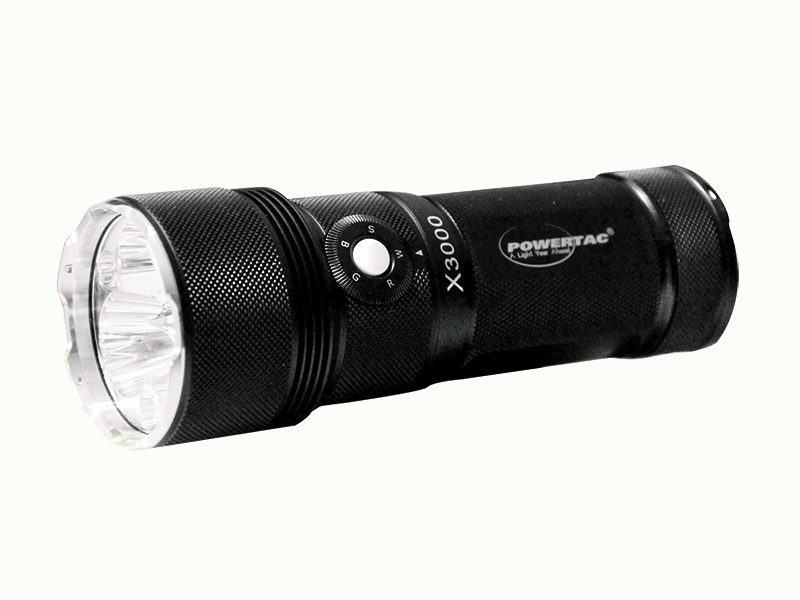 Powertac’s flashlights are rechargeable and can actually be used to charge subordinate devices like cell phones via built-in USB ports. 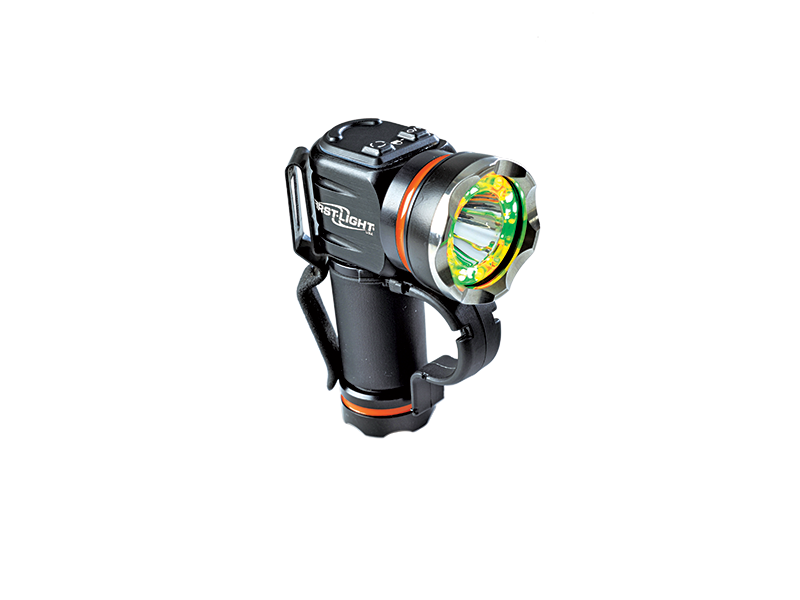 Producing an astonishing 3,000 lumens at its highest setting, the X3000 has ancillary LEDs that shine in red, green and blue. The effective range of the light is reported to be nearly half a kilometer in darkness. 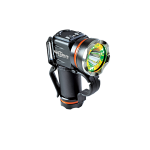 The X3000 incorporates seven steady-beam configurations and five strobe settings. While the X3000 is numbingly bright, on its lowest setting it will still burn for a month on a single charge. The MSRP is $370. 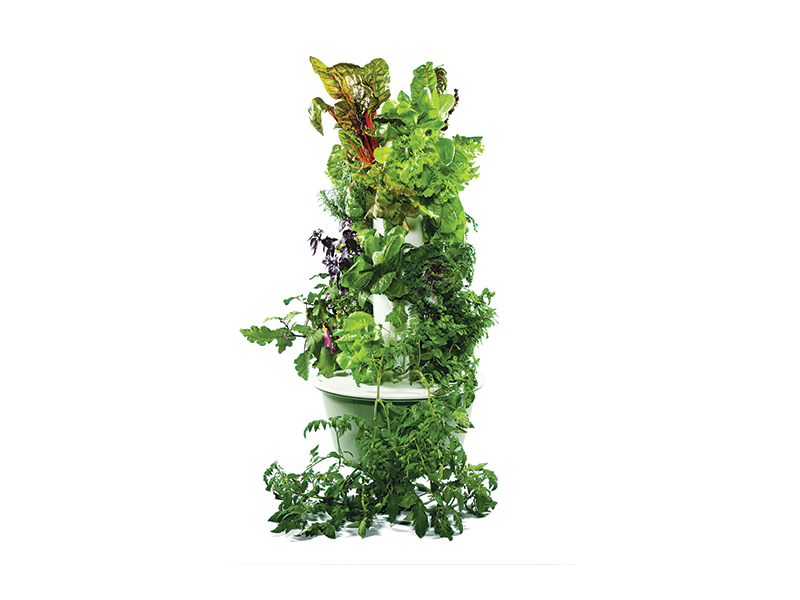 The Tower Garden is a plug-and-play vertical garden that takes up very little space for use both indoors or out. Using a grow light, the Tower Garden may be used year round indoors in any climate. 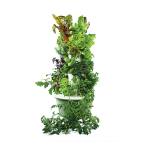 The Tower Garden includes a low-wattage pump to continuously cycle water and nutrients across plant roots to grow without dirt. The Tower Garden requires no weeding, tilling, kneeling or getting dirty and uses only 5-10% of the space, water, and energy of conventional gardening while producing vegetables 30% faster. A typical tomato plant, for instance, will bear fresh tomatoes 52 weeks per year for up to three years in the Tower Garden. The Tower Garden is a remarkable source for fresh vegetables, spices, or flowers that is fully sustainable and produces independent of the season. The MSRP is $525. When the U.S. Army needed a flashlight that was suitable for deployment in the Abrams tank, it came to First-Light. While products like the Tomahawk NV Blue and Tomahawk MC are primarily designed for military use, the First Light T-MAX brings the same mil-spec technology and robust capabilities to civilian users. 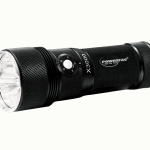 The T-MAX actually produces 700 lumens while offering white light as well as standard primary colors. The T-MAX NV is night-vision capable while the T-MAX PRO offers the same specific mix of red and green colors designed to spot blood as its GI-issue counterpart. Each of these lights feeds from a pair of CR123 batteries. First-Light products are hardened for serious use and brilliantly executed. MSRPs start at $200. At 1.1 pounds, GoalZero’s Lighthouse 250 can hang from a hook, sit on a table or fold up for storage. 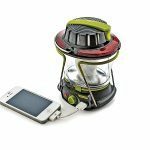 The Lighthouse 250 charges from wall power, a solar array or a standard car charger via its USB port. It also incorporates a built-in, hand-cranked dynamo that yields 10 minutes of soft light for every one minute of cranking. The light has multiple brightness settings and can be configured to shine out one side for walking or both sides for reading. There is a flashing red emergency beacon on the Lighthouse 250, and the device will also charge your cell phone or other portable electronic devices. A seven-hour charge will yield 48 hours of light on its lowest settings. The MSRP is $80. The BioDome is a biological/chemical protective shelter that can be erected in under three minutes using either CO2 cartridges or a mechanical inflator. Made from a heavy duty fabric offering high tensile strength and puncture resistance, the BioDome uses a patented positive pressure air filtration system to exclude noxious gases and chemicals. Both the interior lighting and filtration system can be powered using a battery pack, a solar array, or commercial power. 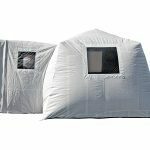 The BioDome is available in several configurations, some with an optional air-lock, and provides serious shelter for serious situations. 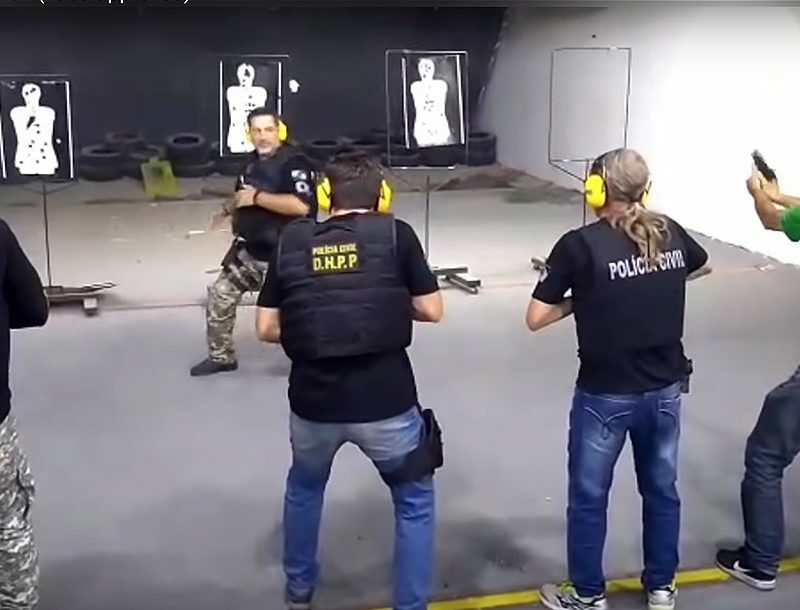 The best prepper gear on the planet is worthless if you cannot defend it, and the finest firearms on the planet are nothing more than ballast if you cannot run and feed them effectively. Blue Force Gear is an industry leader in tactical equipment, and its Vickers Sling was developed by firearms expert and former Delta Force operator Larry Vickers to maximize the utility and effectiveness of a tactical carbine. 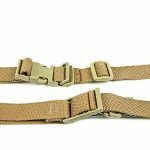 With a maximum length of 54 inches fully extended, this sling truly represents the state of the art in weapon carry solutions. The MSRP is $65. 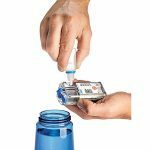 Add a little table salt to the Potable Aqua Pure Electrolytic Water Purifier and you can microbiologically purify up to 60,000 liters of drinking water. 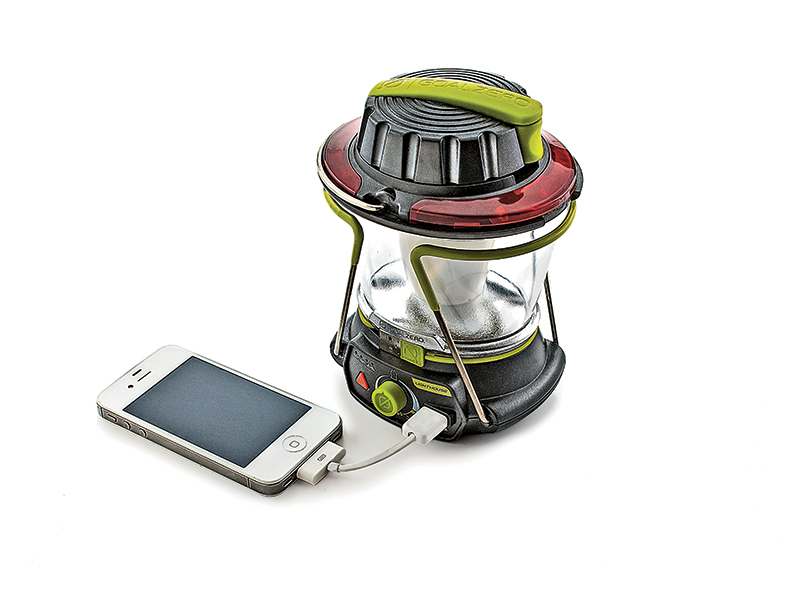 The purifier itself is roughly the size of a small cell phone and sports a built-in solar cell on one side. 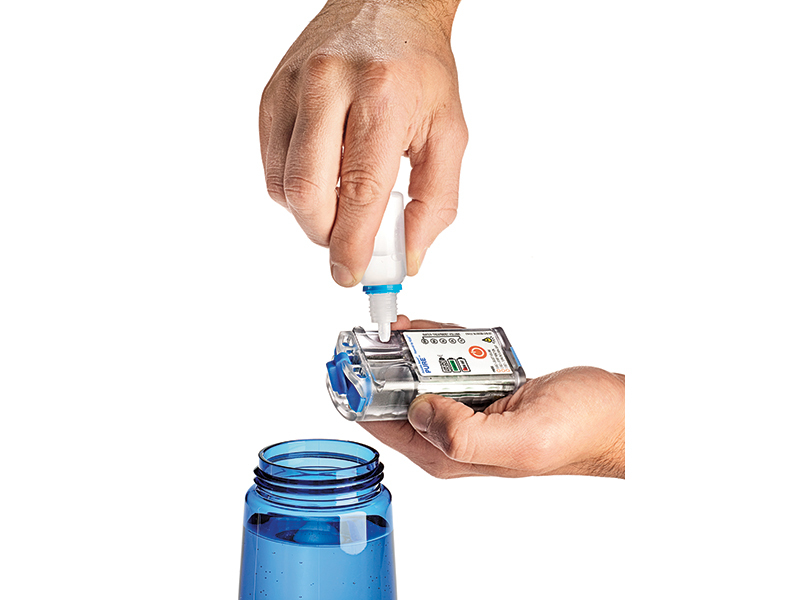 Add a little brine (salt and water) to the device and activate it. The purifier bubbles a bit as it splits the chlorine out from the brine solution. The subsequent chlorine-based, mixed-oxidant disinfectant solution is a combination of peroxide and chlorine that can be added to corrupt water to kill 99.9999 percent of bacteria as well as 99.9 percent of cryptosporidium spores. And since the device is solar powered. The MSRP is $100. 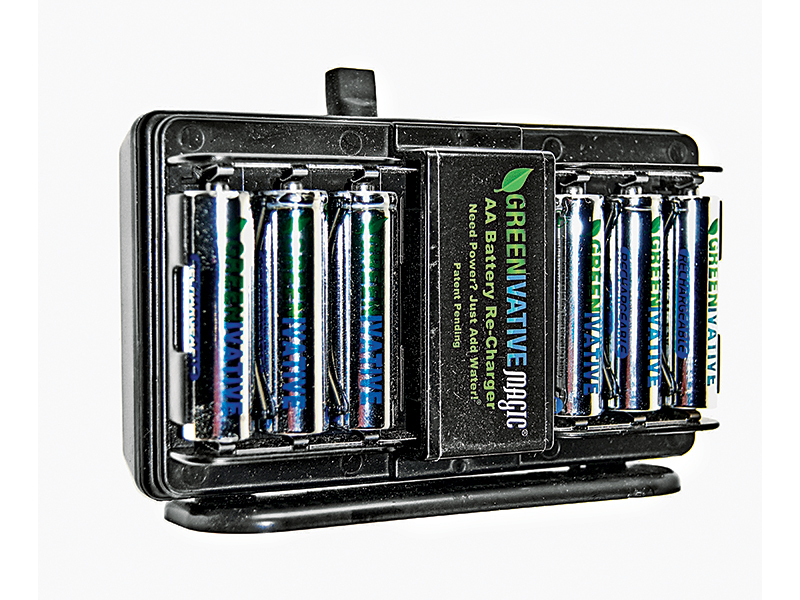 Greenivative’s GMAG battery charger recharges standard AA batteries using salt and water as a power source. 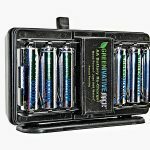 This innovative device will charge six standard AA 1,000 mAh rechargeable batteries in two hours or six AA 2,000 mAh rechargeable batteries in three hours using two teaspoons of table salt mixed with water. The basic device is rated for 15 to 20 charge cycles, while the heavier-duty version is good for 40 cycles. The MSRP is $45. 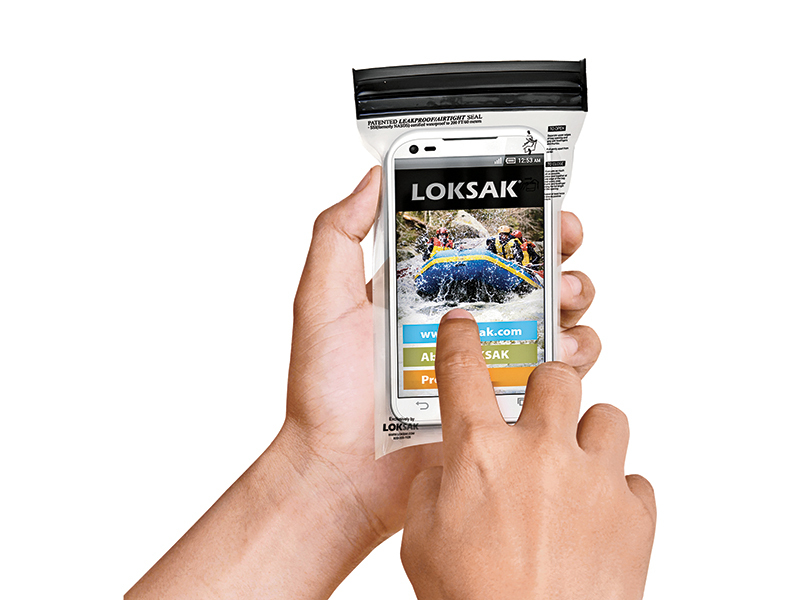 LokSak’s waterproof storage sacks are made from heavy-duty plastic and are remarkably effective. 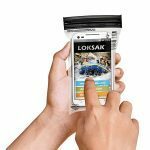 Available in a variety of sizes, the company’s aLokSak bags protect everything from cash to cell phones to rifles from water and the elements. Just drop something in the sack and squeeze the top shut. The resulting package is hermetically sealed and waterproof down to 200 feet. 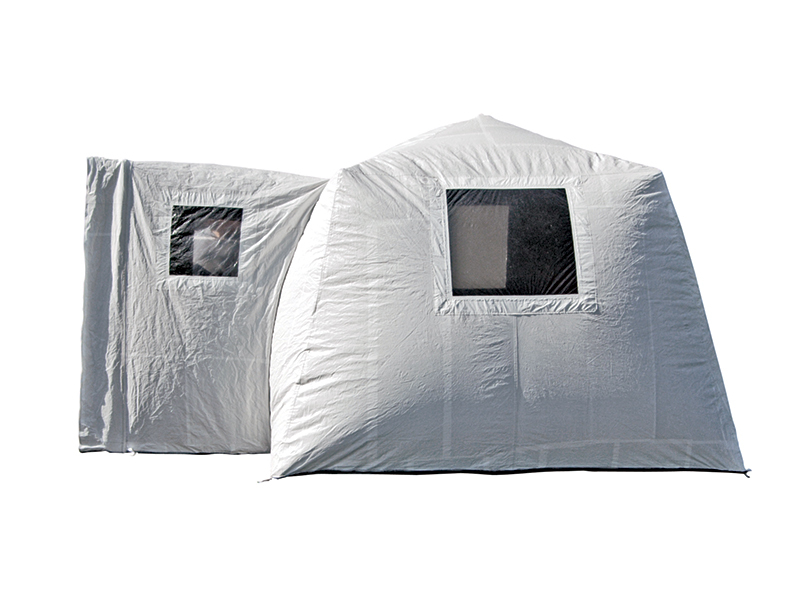 The aLOKSAK provides 100-percent protection from water, humidity, sand or snow. The company’s ShieldSak bags provide comparable protection against electromagnetic interference for cell phones and credit cards as well. The prices for aLokSak bags range from $8 to $24. 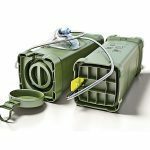 The Rugged Oxygen Generator (ROG) is an imminently portable source of pure breathing oxygen that is heat stable and tolerant of temperature extremes. 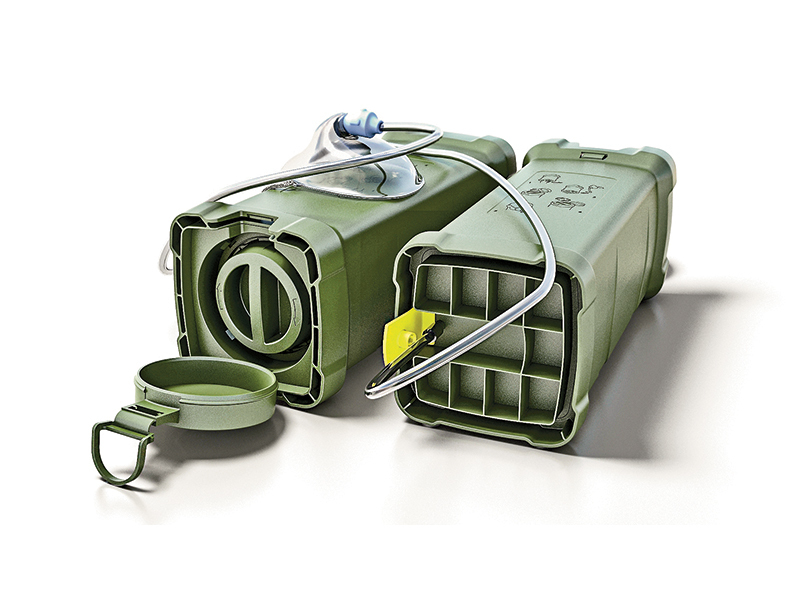 The ROG unit weighs 3.5 pounds and produces 6 to 8 liters per minute of breathing oxygen for about 15 minutes when activated, providing immediate access to supplemental life-saving oxygen in any environment. The ROG employs a Cool Touch thermal management system that contains the heat of the associated chemical reaction within the unit to facilitate safe usage anywhere. The ROG requires no maintenance, mixing or filling. It is designed specifically for military and security applications but will be available for civilian users within the next few months. Self Reliance Strategies operates a central Florida farm that exemplifies water sustainability and preparedness solutions. The company’s seed packs include heirloom seed kits that are non-GMO, non-hybrid and packaged for survival applications with a five-year shelf life. 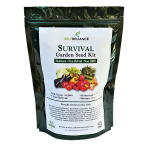 The Survival Garden Seed Kit contains over 45,000 seeds that can be planted and harvested in almost any environment. Contained in a lightweight pouch, the kit is easily stowed for any bug-out or prolonged homesteading situation. 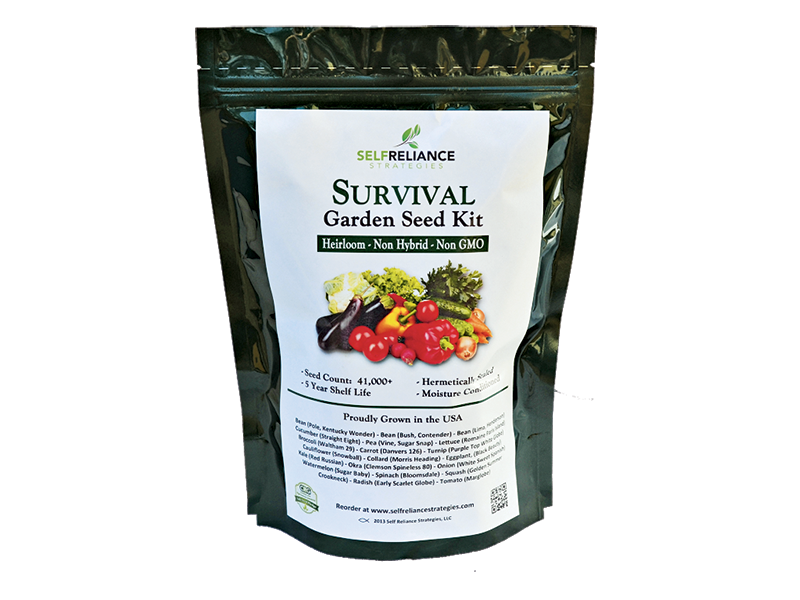 Self Reliance Strategies lives its business and maintains control of its products from dirt to table. The MSRP is $45. Operators American Tactical Hardware’s (OATH) unique bullets are lathe turned from solid copper before being cut with CNC lathes for predictable and breathtaking expansion. 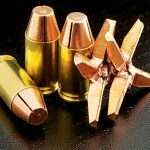 The copper fins that deploy from these bullets are intuitively devastating downrange. 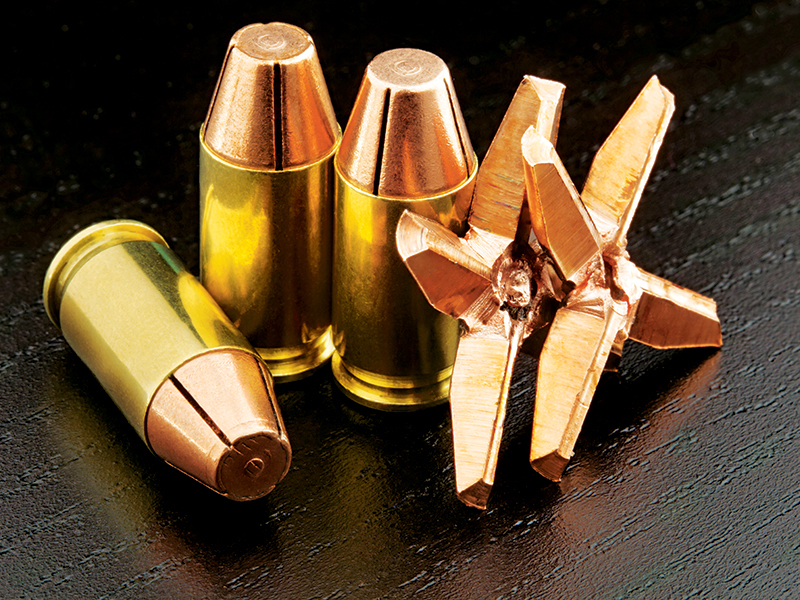 Available in the most common defensive handgun calibers, these bullets penetrate around 8 inches into ballistic gelatin but spill the entirety of their kinetic energy in the process. While some shooters may wonder if this is sufficient penetration for reliable stopping power, you’ll change your mind once you see these spent bullets up close. 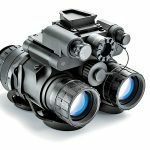 Night Vision Depot has everything the committed survival prepper might want to dominate the night. Products range from relatively modest systems to state-of-the- art mil-spec devices that would be right at home with the country’s tough special operators. The Binocular Night Vision Device with Gain Control (BNVD-SG) has been redesigned to be lighter in the field while increasing performance. 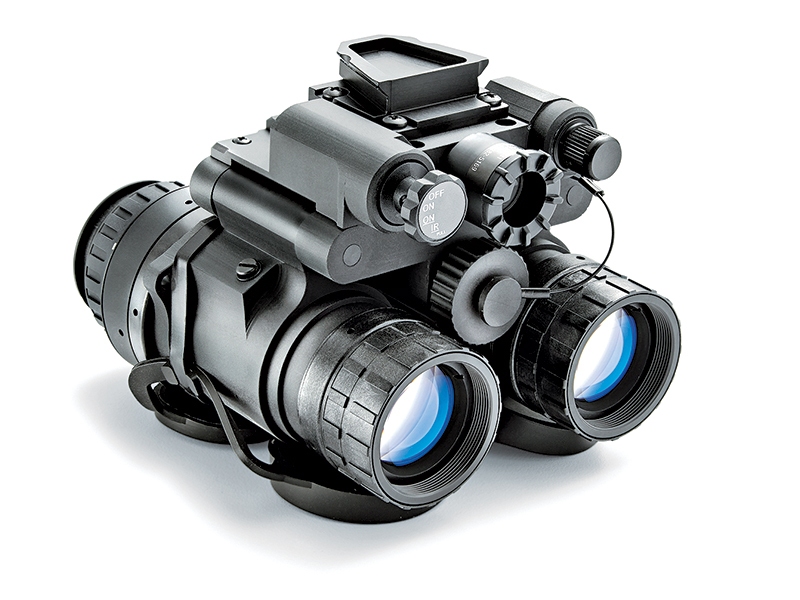 This dual-tube night-vision goggle now operates with a single gain control knob, which the user can adjust to compensate for overly bright conditions or to increase the gain under extremely dark conditions. Powered by one AA battery, the unit has a runtime of over 30 hours. Water is without a doubt the most critical commodity in a survival situation. While water can be treated or filtered fairly easily to separate it from most of its contaminants, only distillation actually separates the water from the bugs. The resulting water is completely clean and pure. 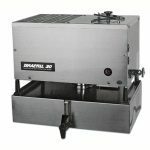 The Durastill comes in a variety of sizes, including the Durastill 30 which produces 30 liters of clean water every 24 hours, and will draw clean drinking water from literally any contaminated source. Cryptosporidium, giardia and any other waterborne parasites are left behind as the clean water is drawn away through distillation. 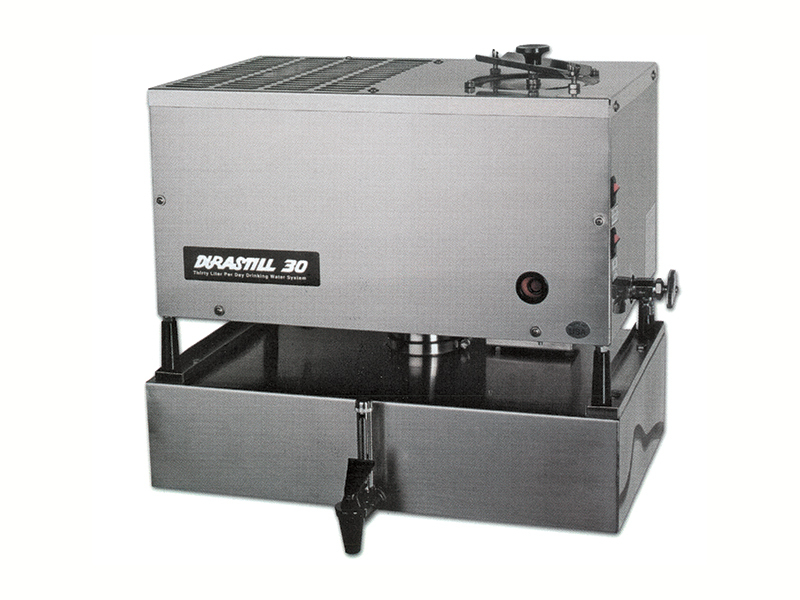 Backed by more than 25 years of proven durability, the Durastill is the solution for perfectly clean drinking water. The MSRP is $799. Prepping yourself and your family to survive natural or manmade disasters is a constant task. As the threats facing us continue to change and evolve, so too must the gear that we’ll rely on during an emergency. 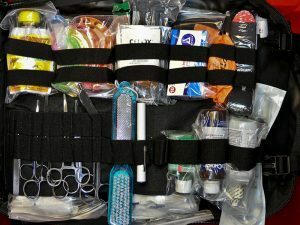 These selections from this year’s National Preppers and Survivalists Expo in Florida highlight some of the state-of-the-art technology that promises to help you navigate a disaster’s aftermath safely. From charging devices to water purification to must-have illumination tools, look to see what’s new and how you could upgrade your gear to handle whatever threat tomorrow has in store for you.